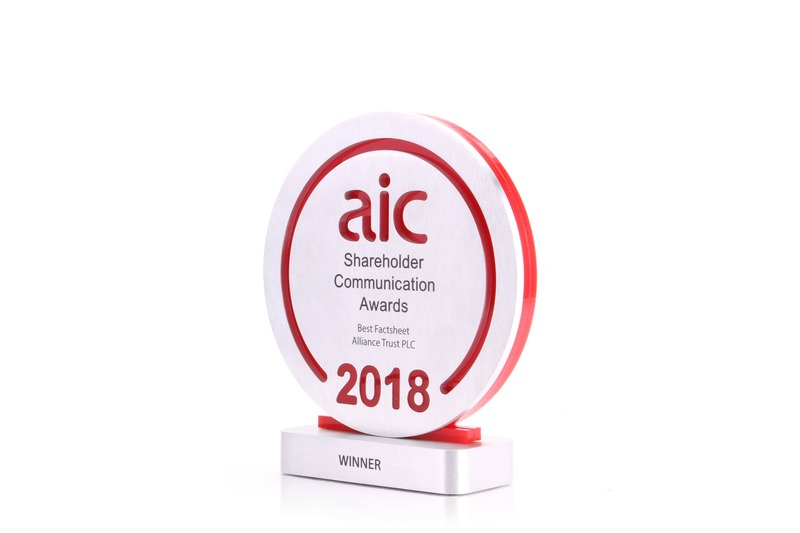 The AIC Shareholder Communication Awards feature a circular brushed top on a base. 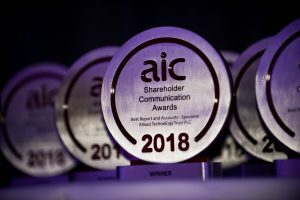 The high-quality alloy is cut to display the AIC logo. To emphasise the design, a red acrylic layer shows through the profiled aluminium. Both metal and acrylic offer versatile design options. 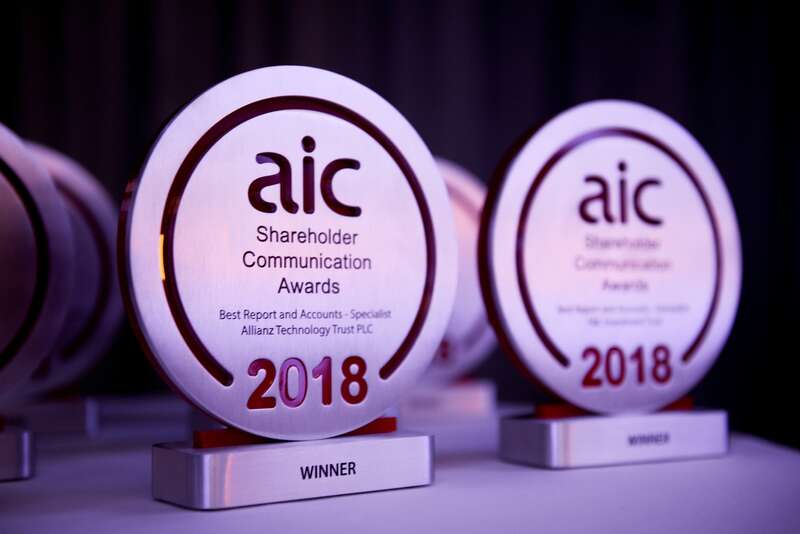 Depth and colour make these bespoke awards pop. 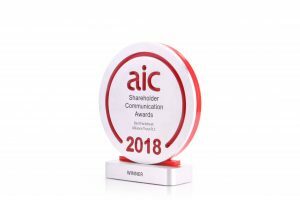 A brushed finish will reduce the appearance of fingerprints, which is especially useful when photographing awards. We’ve utilised our UV-printing technology for the event details. Ink goes straight onto the metal and dries instantly. 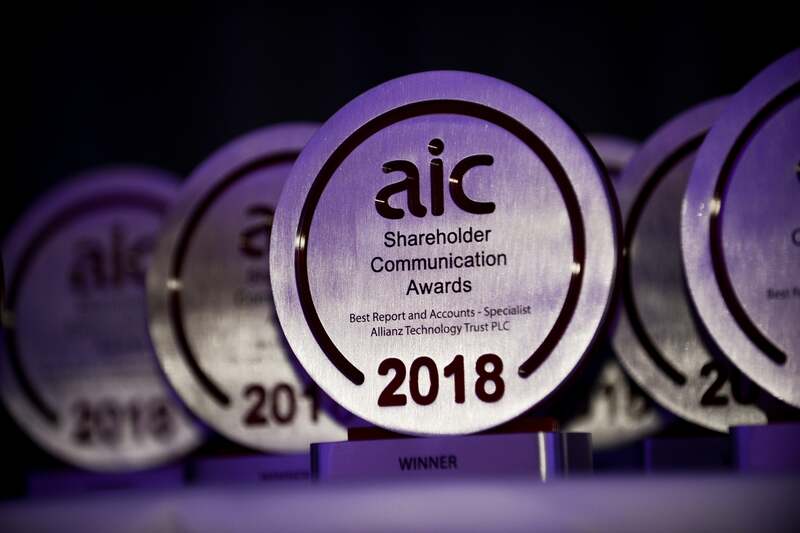 Printed words and graphics are crystal-clear and colour matched. 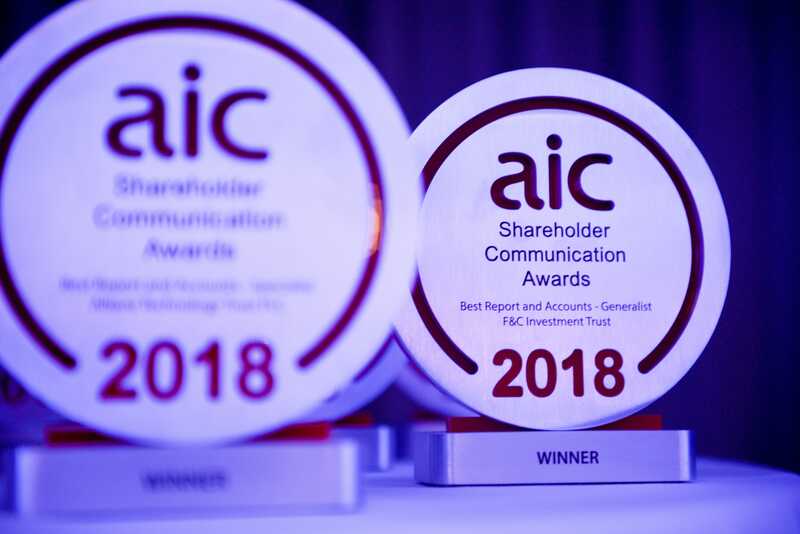 Find out more about the AIC Shareholders Communication Awards here.